Today we highlight tremendous business analyst and post-consulting leadership jobs at Tesla Motors. Tesla Motors is an American company that has made waves in the car industry, so much so that General Motors then-Vice Chairman Robert Lutz said in 2007 that this company’s car inspired him to push GM to develop the Chevrolet Volt. Based out of Palo Alto, California, Tesla Motors was established in 2003 with offices in 3 countries. The company now employs more than 6,000 people worldwide, and still operates in 3 countries. Led by brilliant visionary co-founder and CEO Elon Musk, Tesla Motors since its inception has been out to create an electric car revolution. Tesla Motors first gained widespread attention following its production of the Tesla Roadster, the first fully electric sports car. The company’s second vehicle is the Model S, a fully electric luxury sedan, and its next two vehicles are the Models X and 3 respectively. Tesla also markets electric powertrain components, including lithium-ion battery packs to automakers including Daimler and Toyota. Tesla’s CEO, Elon Musk, has said that he envisions Tesla as an independent automaker, aimed at eventually offering electric cars at prices affordable to the average consumer. A vehicle under $40,000 launched in 2017. Working at Tesla Motors is an absolutely amazing experience – wouldn’t you want to work for a a creative company that is both concerned about sustainable living and pushing the envelope on what is possible? You know that when CEO Elon Musk says, “I think it’s important to have an environment where people look forward to coming to work, so we put effort in making their workstation beautiful,” you are going to be in an environment where everything is going to be clean and pristine. Besides some of the traditional benefits that most employers offer, like 401ks and stock options, some of the additional Tesla Motors perks are pretty cool – like being able to zip around the giant factory in Fremont, CA on bikes and scooters adorned with everything from Tesla logos and colors to utility baskets and whistles. Tesla provides the bikes and they are available for anyone to use; on the frame, it says, “Property of Tesla, do not lock,” so when a bike is available, a Tesla employee can just grab it and go. Another cool perk is the factory’s various cafeterias and cafes which provides free coffee, tea, soda, hot and cold cereal, as well as a changing offering of seasonal snacks and fruit. Like Tesla Motors co-founder and CEO, Elon Musk, Tesla is a company full of game changers and disruptors and that’s exactly the type of people the company wants to bring on board. Tesla is looking for people who are passionate about what they do, the environment, and changing the world for the better. With Tesla Motors, there is not one way to ensure you are accepted to go on to the interview process. You can apply for a position at Tesla in many different ways, ranging from job fairs, staffing agencies, applying online, or applying in person. 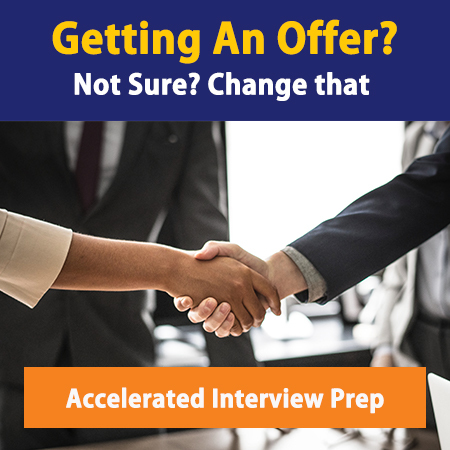 No matter your preferred route, all have approximately the same likelihood of getting passed on to the interview phase. We highly recommend, however, that you network before applying rather than going in cold. The typical hiring process from application to offer will vary largely depending upon the position that you are applying for, but you can expect the timeline to take anywhere from 2-9 weeks. After submitting your initial application with your resume/CV, cover letter, and other supporting documents, HR typically will respond to your application within a few days. Once you get passed to Round 0, you can bank on at least 3-5 interviews (although they have been known to give more) which typically consist of connecting with the recruiter for a phone screen and a phone interview with the hiring managers. Again, depending on the position for which you have applied, the screening process can vary slightly. For some of the more technical roles and offices, Tesla will require you to do a written test, which you must complete in 30 minutes, followed by connecting with staff online so you can be observed doing it again live. It is also noteworthy to add that if you get far enough in Tesla’s interview process, you may be asked to write two essays, one answering “Why Tesla should hire you” and the other on “Why you want to work for Tesla,” which will then be reviewed by the CTO or CEO (pretty crazy the C-Suite makes time for that, huh?). After that, you will have another interview with a hiring manager over the phone. If that goes well, you will be invited to an almost-all-expense paid trip to company headquarters in Palo Alto. The on-site interview portion typically consists of a presentation that you have to deliver, followed by a series of one-on-ones with engineers/managers. Once you’ve gone through the rigorous screening and presentation, Tesla fit interviews have been known to be somewhat easy, but don’t let that fact catch you off guard – you haven’t come this far just to slip up now! You still need to be prepared for the fit portion of the interview, because the questions that you receive will be both behavioral – “Why do you want to work for Tesla?” or “Walk me through the steps you took to finish a project on your resume?” – and experiential (use the CAR method): “Which personal event has had the biggest impact on your career to date?”, “What type of leader are you?” and “What motivates you?” They are also known to ask a lot of tough and interesting questions like “Why should I hire you?, “What are your three greatest weaknesses?”, “What can you contribute to the company?” or “For each job you held, what was your greatest achievement and impact?” – so be prepared with your hero stories! They will almost certainly drill down on your experiences and role play with you, so don’t go in without preparation. If Tesla likes you, they will do their best to find you a position, even if it is not in the original position you applied for. If you have the right attitude and willingness to work – that, more than anything – will get you hired. Lastly, make sure you know the market value for the position in which you are applying. After you get an offer, even though Tesla is known to be pretty fixed and rigid with offers, there is room to negotiate if you can show you have other options. To learn more about open positions and how to apply, visit the Careers Page today. Are you an employer,recruiter, or hiring manager? Are you having difficulty finding qualified candidates to fill your positions? Let us help you. We have an exclusive community of highly qualified job applicants and a job board for just such reasons. To add your jobs to the job board and gain access to our highly qualified candidates click here.